November 2011 – South Kerry Development Partnership CLG. This project is co-financed by the European Regional Development Fund through the Interreg IVB North West Europe Programme to promote strong and prosperous communities in N W Europe. Form a new type of alliance (Enterprise-Community-Alliance) between enterprises and local communities, mobilising rural residents of all ages, backgrounds& residential status. They will work together to help their communities to adapt to the changing demography in modern rural society. Harness the best qualities of enterprise principles, combined with community values, to construct these new alliances, empowering people living in rural areas to be their own agents for change & contribute to better social inclusion & increased competitiveness. Create new relationships between the public sector & rural communities to work together to safeguard & enhance rural resources & services, including innovative finance methods. Create a Rural Vibrancy Measuring Index, to help people assess their community and identify actions to undertake. Demographic change is 1 of 4 major issues facing the EU. In rural areas the downturn in agriculture/ forestry as the predominant economic driver, migration to urban areas & limited contributions from lifestyle immigrants, have led to fragmented society, ageing populations, reduced employment prospects & community wellbeing and loss of rural vibrancy, thus diminishing their contribution to a competitive Europe. Existing governance structures increasingly struggle to meet rural needs as the capacity for the public sector to invest in services & infrastructure is reduced by diminishing local tax receipts & the current economic climate. 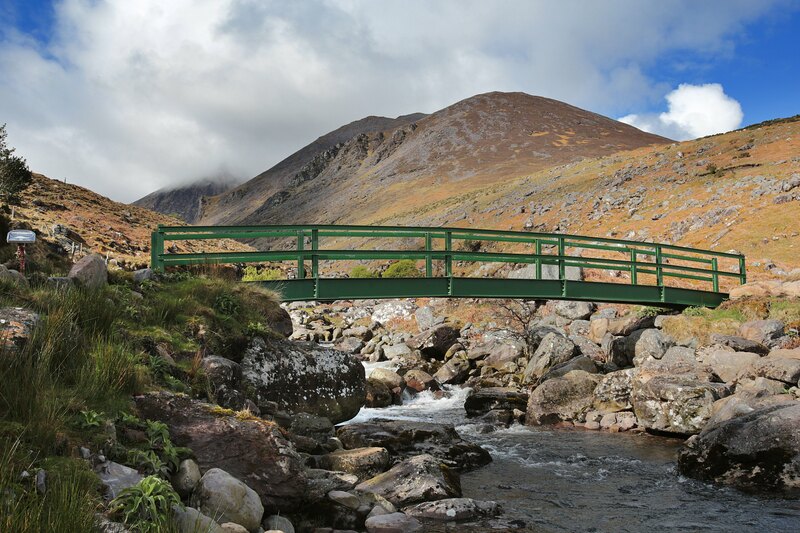 South Kerry Development Partnership Ltd (SKDP) is a local area Development company, established in May 1991 to promote and support the Development of sustainable and vibrant communities in the south Kerry area. SKDP operate the Education & Training Initiative – To support participation in education and training opportunities for lifelong learning and development by raising awareness, identifying needs and providing access throughout the area. Where there are gaps in service provision we will raise awareness, identify solutions and develop initiatives to enable the individual and communities to address issues adversely affecting them. Provide support for disadvantaged 3rd Level and Further Education & Training students. Provide capacity training to community groups in South Kerry. Provide capacity building training to businesses in South Kerry. Provide support for the development of training facilities. Provide personal development training opportunities to individuals. Work with pre-schools, schools and agencies to improve outcomes for young people at risk. Provide support for disadvantaged pre-school, primary and post-primary pupils. Provide supports for early school leavers. Provide supports to schools on issues relating to disadvantaged pupils. Work with communities and agencies to raise awareness of, and address mental health and substance misuse issues through education and training. Pilot, and demonstrate the need for, projects on issues of mental health and substance misuse, while linking communities and schools. Stage awareness raising activities across South Kerry. Support and strengthen the family unit to encourage child well-being. Work with parents to create an awareness of the need to support and encourage their children. Work with schools and agencies to provide joint information sessions and initiatives for parents. [/toggle] What Programmes are run under the Education & Training Initiative? Please click on the specific Programme you want to view details on. [toggle title=”FACE”] The FACE (Families and Computers in Education) project is a FAMILY EDUCATION project aimed at helping parents to become effective home educators for their children, to develop their own skills as adult learners, and to become more confident using computers. The project funding is managed by South Kerry Development Partnership. Families are nominated by schools where parents take an active interest in their children’s education, but would benefit from extra help or advice on how to help their children with Literacy or Numeracy. The project takes place in the homes of those families and last for 8 weeks. [/toggle] [toggle title=”Traveller Support”] HIA (Health Impact Assessment) – Interagency work supporting the improvement for families on the Deerpark Halting Site. Since we have been working very closely with the residents and other agencies to support the overall well-being of the families. We now have a Community facility on the site which is used for planning and residents meetings we are planning to use the facility for activities for younger children and computer classes for the Adults. There is now a Play area for the children too. We are seeing a lot of positive changes on the site and this is due to agencies and residents working together. Traveller Women’s Group- SKDP supported the set up of women’s group for the Traveller women to have a voice and express their issues and needs also to make it a social event which is held weekly and to invite other women groups in the area as part of integration which has worked very well. SKDP has been supporting the group with information on training availability, which most of the women have signed up doing different courses. Also we have a number of guests attend doing different activities such as a 6week food nutrition course which was a great success, this also included “Cooking on a budget” which families requested. The women also took part in Body Confidence training. Traveller Support workers Co-Ordination Committee- which SKDP set up in order to avoid duplication and to ensure a strategic approach in supporting Travellers in Killarney is employed. The agencies attending are Kerry Traveller Development Partnership, South Kerry Development Partnership, Department of Education, Ballyspillane FRC and FAS. From this we have a range of courses starting such as Computer classes for Traveller men, Parent Plus for 5/6years. [/toggle] [toggle title=”Childcare Networks”] Parent and Toddlers are an essential part of the fabric of any community and provide invaluable opportunity for children and parents to meet and share ideas in a safe and supported environment. The Support is given to all groups we organise guest speakers, circulate minutes from previous meeting, and bring updates, information and funding on Childcare issues. To support the promotion of good practice in childcare through networks and newsletters. Childcare Managers Network-meet eight times a year and SKDP support the network by circulating minutes make sure the room is booked and meet with them at start of meeting to give any information and for them ask or share any ideas with me. The manager’s network has become a valuable information and support resource for childcare managers. Managers can learn from each other’s strengths and knowledge. Childcare network meetings are vital as this is where staff and management come together to discuss their needs and get updates and information regarding childcare services also to support the promotion of good practice. [/toggle] [toggle title=”Family Support Learning”] SKDP in conjunction with an interagency group conducted research on Child Well Being and a strategic direction was outlined for future co-operation and interagency work in relation to young people living in South Kerry. The priorities identifies were the need for increased youth services addressing emotional, physical and mental health, the need for learning supports for school age children and young people, the need for improved access to information for parents, through Homework clubs, one to one homework supports assessments-NEPS. [/toggle] [toggle title=”Children with Additional Needs”] Provide capacity building supports and networking opportunities to community based special needs support groups in Kenmare, Caherciveen, Mid-Kerry and Killarney. Recreational and educational activities as well as opportunities for peer integration will be provided to young people. The need for sibling support groups/workshops to support children with additional needs. [/toggle] [toggle title=”English Language Support”] Provides English language supports for children of non-Irish nationals whose first language is not English attending pre-school in the Killarney area to ensure full participation in the pre-school setting and smooth transition to primary school. This need has been identified through SKDP’s work with primary schools through the LDSIP period, and through continued high numbers on the pre-school list for children of ethnic minorities. The South Kerry Learning Support Unit (LSU) is an interagency collaboration with a key aim to provide a corordinated approach to provision of additional learning support services in South Kerry area. It liaises with schools, parents, learning support professionals and other relevant partners and experts. South Kerry Development Partnership Ltd promotes Community Development within the South Kerry area. Community Development has long been accepted as an approach which is about enabling socially excluded people to work together in shaping a more just and equal society. It involves tackling inequalities by forming groups ,developing knowledge and awareness and working towards the achievement of agreed goals. Social inclusion is the work undertaken to tackle the issues of poverty, disadvantage and discrimination experienced by various people and communities. For example people can be said to experience social exclusion when they have poor access to services, to education, health and employment, or are living on low-income, or at risk of discrimination. The partnership has developed its plans to counter social exclusion and isolation through its collaborations with local community organizations, non-government organizations and state agencies. We know from our experience in SKDP, and from our consultations and research that certain areas and groups are at higher risk of experiencing social exclusion. Certain rural areas as well as village and town areas have greater need of support and programmes etc. Also, some people are at risk of discrimination or inequality, for example Travellers, members of the Gay & Lesbian community, people with a disability etc. Social exclusion has a broader meaning than poverty. Social exclusion is a process whereby certain groups are excluded from participating fully in society by virtue of their poverty (see opposite), education status or other life skills. The process of social exclusion has been defined as: Cumulative marginalization from production (employment), from consumption (income poverty), from social networks (community, family and neighbours), from decision-making and adequate quality of life. Social exclusion is a reality for many individuals and communities in Ireland today. An individual may be socially excluded without living in poverty, for example Lesbian, Gay, Bisexual, Transgender (LGBT) young people living in rural areas may experience social exclusion in terms of victimization and harassment at school, or social isolation from their family. The effects of these experiences may contribute to high incidence of drug use or mental health issues. And therefore these individuals may be socially excluded without necessarily being at risk of poverty. The challenges in this work are complex and require long-term commitment by all concerned – no one group has all the answers. South Kerry Development Partnership works in partnership with state agencies, non-government organisations and community groups to develop projects and programmes to combat social exclusion. Using a Community Development approach these are the actions for 2012 run in conjunction with a range of community groups and partner organizations. Defining Community Development (extract from Pobal guidelines on the Local & Community Development Programme). “..a developmental activity composed of both a task and a process. The task is the achievement of social change linked to equality and social justice, and the process is the application of the principles of participation, empowerment and collective decision making in a structured and coordinated way”. In order to provide LDC and community groups with a basis for engagement the Community Development Stages Matrix was devised. This provides a benchmark for assessment of the current development status of the general community sector and/ or subsets of communities of interest — e.g. Travellers, lone parents, disadvantaged women etc. The Matrix relates these levels to the development task facing community workers — the first stage necessitating pre-development work, the second indicating the need for enhanced capacity and the third pointing towards agenda-setting strategic work. Involves and enables people to work together to influence, change and exert control over the social, political and economic issues that affect their lives. Is about a collective focus rather than a response to individual crisis. Challenges inequitable power relationships within society and promotes the redistribution of wealth and resources in a more just and equitable fashion. marginalised and excluded groups within society. Is based on solidarity with the interests of those experiencing social exclusion. Is understood as including both geographic communities and communities of interest. Presents alternative ways of working, seeks to be dynamic, innovative and creative in approach. Challenges the nature of the relationship between the users and providers of services. Is open and responsive to innovation from other countries and seeks to build alliances with other organisations challenging marginalisation in their own countries and globally. Involves strategies which confront prejudice and discrimination on the basis of gender, ethnicity, class, religion, socioeconomic status, age, sexuality, skin colour or disability. The Partnership has been addressing isolation and disadvantaged experienced by some men and has run a few projects on this issue including initial research, an outreach project and men’s social events. In 2011 we invited John Evoy, Development Officer with the Irish Men’s Sheds Association to give a presentation and arising from this we set about supporting the development of Men’s Sheds in the SKDP area. Men’s Sheds is a bit like ‘what it says on the tin’ – a place for men to go, to meet other men in a social atmosphere and to take on some practical projects. The idea originated in Australia and is very well advanced there. Strong links have developed between the Irish Men’s Sheds Association and the Australian Men’s Sheds Association. A shed can be a room, an old warehouse or factory where men would have access to some workshop tools and equipment to take on small or not so small projects, eg woodwork, boatbuilding, restoring old engines etc. It is not a training course but training is sometimes offered, all depending on what the men themselves want to take on. It is a social space for men who have some spare time regardless of what skills they have – they might even learn new skills. As of June 2012 there are two sheds up and running, one in Kenmare and one in Killarney. The Kenmare shed has moved from the Adult Education Centre to a vacant industrial unit – it needed bigger doors to bring the boats in and out! Their woodwork course last Autumn has led them on to a boat-building project and a Currach is now taking shape, as well as old boats being carefully restored. The Killarney Men’s Shed is based in the former Ross Products building on Lewis Road where they have converted half of the old factory into a workshop, a social room/ kitchen and office. There are a few ‘Del-Boys’ in this project as they have been very adept at finding all sorts of bits and pieces needed to renovate the premises including old back doors, fitted kitchens and heavy-duty workbenches. The shed was honoured to have David Helmer, Chief Executive of the Australian Men’s Shed Network perform the official opening of their premises on 20th June this year. Kerry Mental Health Association has been a very pro-active partner in supporting and developing this project. Also, as of June 2012, arrangements for premises for Men’s Sheds in Killorglin, Caherciveen and The Gaeltacht are being finalised. South Kerry Development Partnership has been very involved in the development of these projects to date through identifying premises, advising the men’s groups on how to organise themselves, preparing a constitution, advising of grant applications, supporting the group’s plans and labour through the RSS/TUS schemes. These sheds provide a very positive outlet for men who have the time and interest to learn something new, to take on a project or to share a skill they have with other men in an informal and social environment. Through our work with other organizations and research/ analysis Local Authority Housing Estates are highlighted as areas at high risk of disadvantage and exclusion. In our Local & Community Development Programme we are giving greater focus to working with the estate residents associations. Through strengthening these groups and building up working relations, families and residents can be made more aware of services and programmes that may be of benefit to them. 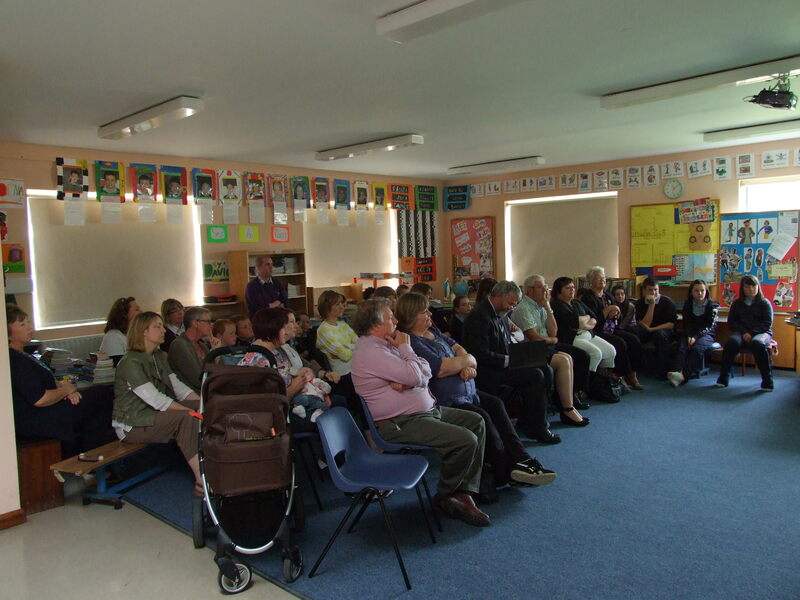 Working in collaboration with Kerry County Council training for Residents Associations was ran for various estates starting late 2011 and continuing in 2012. SKDP has been working over the past few years with residents associations in Iveragh Park and Bansha (Killorglin) and more recently with Fertha Drive (Caherciveen), Ard Aoibhean (Waterville) as well as Tuarin Lnn (Milltown). Groups have participated in short training courses in committee skills, roles of officers and developing plans, with funding provided by Kerry County Council Housing Dept. Through this work with the residents associations SKDP can advise groups of SKDP programmes relevant to their estates, grants and supports available to them etc. Arising from the training groups have identified further needs or have begun developing their plans further. For example; improving financial management, website training and training to develop estate enhancement plans. Working closely with the resident associations provides an opportunity to make groups aware of supports such as Kerry Education Service Community Education Programme and Leader/ RDP funding for community projects. South Kerry Development Partnership’s commitment to addressing social exclusion experienced by children with a disability goes back a few years to when we initiated and led the Child Well-Being programme. 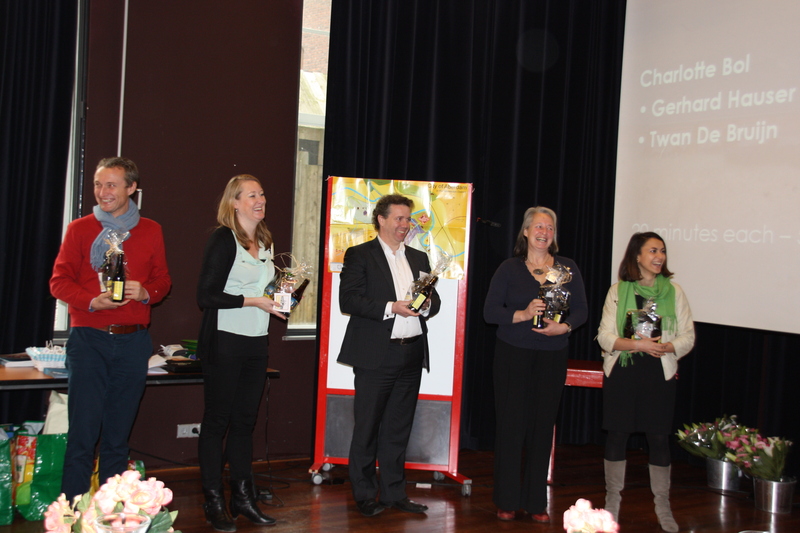 This was an interagency collaboration to research the needs of children and to develop a strategy in response. The report from this project highlighted some of the difficulties faced by parents of children with disabilities in accessing appropriate and timely services for their children. While the Child Well-Being initiative was wound up in 2010, progress has been made on some of the key areas that this work identified. For example Jigsaw Kerry was established to address mental health issues among teenagers and young people. Kerry County Children’s Services Committee was also established to coordinate services for children.SKDP continues to actively support the work of these initiatives. It was a natural extension from the Child Well-Being initiative for us to collaborate with DESSA in supporting the roll-out of the Supporting Families Social Inclusion Strategy. The overall Aim of the strategy is to deliver a series of community based supports to families who experience disability enabling them have equal access to community supports and services. Working in partnership with other organisations is a key aspect of the work of SKDP. While 2011 was a pilot year for the strategy in the Killorglin area, the project has expanded in 2012 to include agencies such as HSE and Kerry Education Service, and the Family Resource Centres of Caherciveen and Ballyspillane. Sometimes this work might not be very visible, but all the organisations just mentioned are quietly meeting each week across a range of initiatives to address social exclusion and disadvantage in our towns, villages and rural areas. The effective collaboration between organisations brings about better use of resources and better outcomes for the children and families we aim to support. As well as expanding the programme to offer the Empowering Parents Programme in other areas, an important development this year is the Train The Trainer Course which will train staff and volunteers within local organisations to continue delivering Empowering Parents thereby making the strategy more sustainable. At the launch of the strategy in June 2012 Kathleen Lynch, Minister for Disability, Equality, Mental Health & Older People presented certificates to parents who had completed the Empowering Parents Programme 2011 and to staff and volunteers from projects and services who had completed the FETAC Module in Community Development & Advocacy. Children with a disability have no voice, they depend on all of us to continue to play our part to improve the services they need and to ensure greater inclusion in education, services and local organisations. The partnership has supported the work of this project since the first Programme Refugees arrived from Kosovo in 2000. This initiative was led by the three main churches in Killarney; Catholic, Church of Ireland and Methodist. Over the years the project has secured funding from the European Refugee Fund which it has used to rent premises, employ staff and run the drop-in centre and programmes. KASI drop-in centre is in the heart of Killarney town in Beech Row and provides information, support and activities for the children and families of asylum seekers living in the two direct provision hostels in the town. Kerry has the second highest placement of asylum seekers in the country and this has resulted in many women, children and male asylum seekers being placed up to five years in direct provision. The project addresses the isolation, exclusion and some of the negative consequences of long-term residence in direct-provision. Recent studies also suggest that the current economic situation has exacerbated negative perceptions of asylum seekers in the community. KASI also runs a second-hand shop to help raise funds and a community garden project in Ballycasheen. These activities also provide an outlet for asylum seekers to get involved and to meet with other people. SKDP secured the initial funds from the European Refugee Fund which has enabled the project to provide the drop-in centre, employ a coordinator and run a programme of activities. Another key partner and funder in this project is the HSE. Through its Community Dept funding an outreach worker is employed who visits families and individuals in the hostels to ensure they are aware of what the project has to offer. Outreach is an important aspect to the project as residents living in direct provision long term can become depressed and withdrawn. SKDP has been very active in supporting the development of the project over the years through grant-funding, membership of the board, support and advice, as well as staff support. The partnership is assisting the project prepare for the next round of EU funding which will have an emphasis on broader integration. This initiative trains and prepares people who may have experienced discrimination to deliver equality awareness workshops to public agencies, community organizations etc. Discrimination and inequality continue to be experienced by Travellers, People with a Disability, members of the Gay & Lesbian Community, Migrant Workers etc. Through the Equality Ambassador Programme participants are trained and assisted to deliver a short presentation on their experience of discrimination or inequality to an invited group of representatives of public services and community organizations. To date three programmes have been run, two in Tralee and one in Killarney. SKDP was the lead partner for the 2011 programme in Killarney. A steering group including Kerry Education Service, Kerry Traveller Development Programme and Ciarrai Amach (Gay & Lesbian network in the county) manage the programme. SKDP continues to lead the programme for the South Kerry/ Killarney area, and is keen to support the further development of this important initiative. KES Community Education Programme provides the costs of the tutor, SKDP grant covers various support costs, and a grant from the Community Foundation of Ireland also covers various costs. 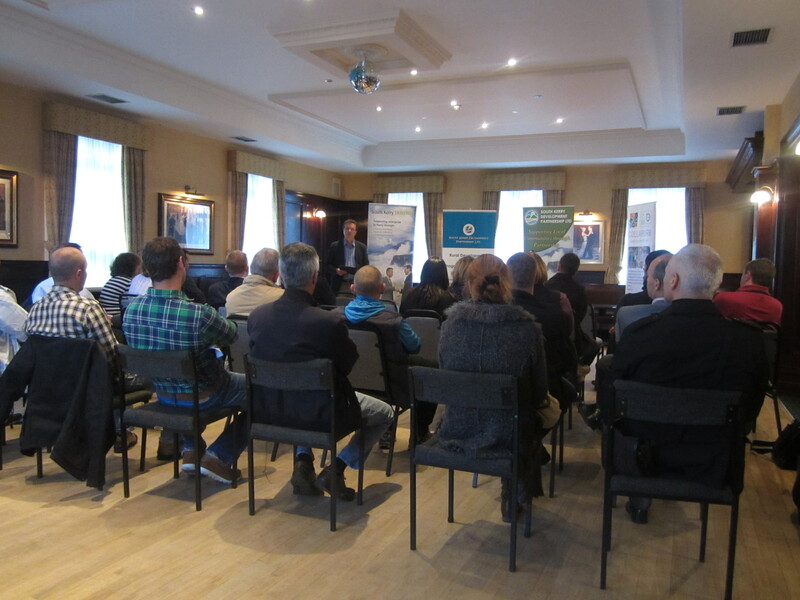 In February 2012 ten of the participants gave individual presentations on their personal stories to an audience from local state services and community groups in the Dromhall Hotel, Killarney. The programme gave the individuals an opportunity to organise their thoughts, and the support and advice on how to stand up and give their presentations, which given the personal nature of the experience, can be quite challenging. In May 2012 the steering group convened a consultation event with previous programme participants to agree the next phase of the programme. Arising from this it was decided to record people’s stories onto MP3 format and make it available through the internet, and to organise further training and development in the areas of understanding equality further, facilitation and presentation skills. This training is scheduled to be run Autumn 2012 in Killarney. Promoting equality awareness training workshops to agencies and organizations is a key objective of the programme. The steering group is preparing the participants to deliver this training and is making arrangements with potential organizations to host the workshops for their staff and members. We believe the personal story, presented by the individuals themselves can make a great impact on those involved in providing public services, community projects etc as we strive towards a more inclusive and equal Ireland. Part of the role of the partnership is to support the participation of communities and their organisations in local development structures. The community forum is the representative and democratic structure for the community and voluntary sector – this is how the voice of the community is heard. It is a forum for discussion, an opportunity for networking and the sharing of good practice. All groups on the county register of community and voluntary groups are automatically members of the forum and are invited to attend local area forum meetings which are held 3-4 times each year. As well as providing opportunities for networking, exchange of information etc the forum plays a very important role in facilitating the elections of community representatives onto both the Partnership Board and onto the County Community & Voluntary Forum. These election meetings are normally held each September and groups eligible to take part are informed of vacancies and offered the opportunity to nominate a representative. The SKDP area is divided into 4 sub-areas, namely Greater Killarney, Greater Kenmare, Mid-Kerry and Iveragh. Each area appoints two representatives from the election meetings as Community Directors on the partnership board. This is called the Community Pillar and is a key element of the Board of SKDP. Community groups are also given the chance through forum meetings to nominate representatives onto partnership working groups. The county register is becoming increasingly important, and the partnership strongly encourages community groups to renew their registration annually. SKDP, North & East Kerry Development and Kerry County Community & Voluntary Forum cooperate together in the sharing of the county register, and in the working of the forum through an agreed terms of reference (link).